This weekend im at the Festivals of Quilts in Birmingham, England. 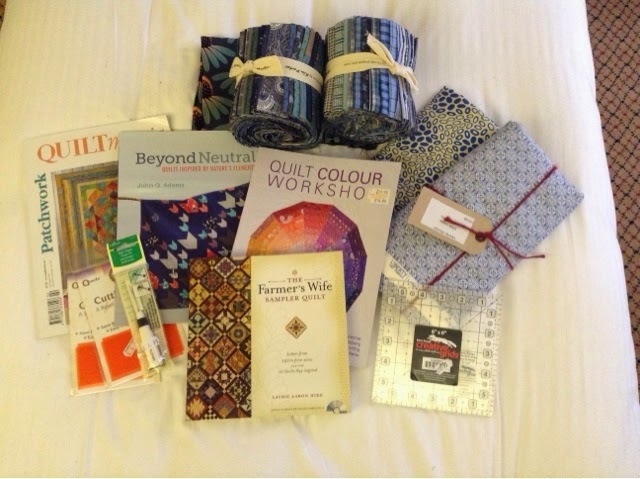 Lots of fun, lots of fantastic quilts and lots of new purchases. Here are the results of the first day. Two more days. If my husband asks most of it is stuff that I've had for ages. Okay? I can see lots of new wonderful projects in your future! And wink, wink, your secrets safe with me! O wow, in Birmingham! Great!